i had a pastrami and swiss on rye pannini (the “pacific”) at safeway today that was probably one of the top 5 best sandwiches i have ever tasted. why is this called a pacific? it’s more chicago or boston than anything else. 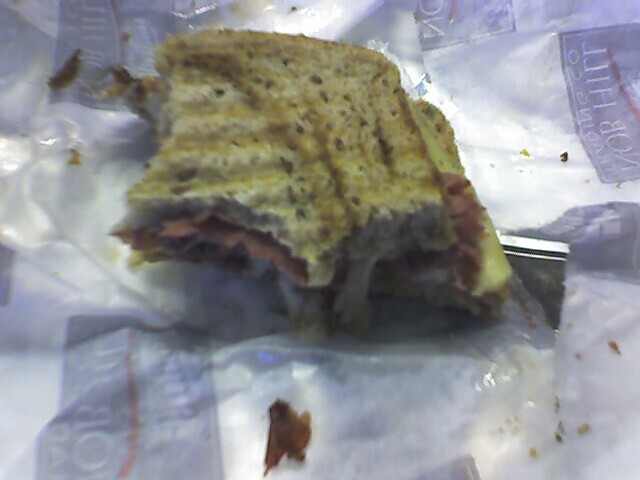 i have only a picture of a partially-eaten sandwich because i was too busy enjoying it to bother taking a picture of it. so if you need a favor from me, bring one (or two) of these along and we’ll talk.